Small Business Development Centers are located throughout the United States at institutions of higher learning. Their focus is to create economic impact through the counseling and training of businesses with fewer than 500 employees. The Northwest Small Business Development Center (SBDC) falls under the direction of Northwest Missouri State University and is also sponsored by the U.S. Small Business Administration. The Northwest SBDC covers the nine counties of Atchison, Nodaway, Worth, Gentry, Holt, DeKalb, Clinton, Andrew, and Buchanan. The main office in the region is located in St. Joseph, however, services are offered on-site and via video chat or teleconference for convenience as well. Coordinates and conducts research into technical and general small business problems. Conducts conferences and workshops at a nominal charge on various topics of interest to the owners of small business. The SBDC helps business owners and potential entrepreneurs meet today’s competitive challenges. There is never a charge for the SBTDC consulting services because all the services are subsidized by the U.S. SBA and the University to help grow the region’s economy. The SBDC has been hosted by the University beginning in 1985. From 1999 (the earliest date for our database records) through 2017, the Northwest SBTDC has averaged consulting with 199 businesses each year, creating 78 jobs per year, and assisted with average yearly investments of $8,799,132! Additionally, the SBDC from time to time utilizes student workers to assist businesses with specific needs such as social media, graphic design, marketing ideas, and more. This gives the students real-world business experiences, improves their critical thinking skills, and assists the businesses with creative ideas, ways to reach the younger generation, and vetting possible student candidates for future employment placement with their company. 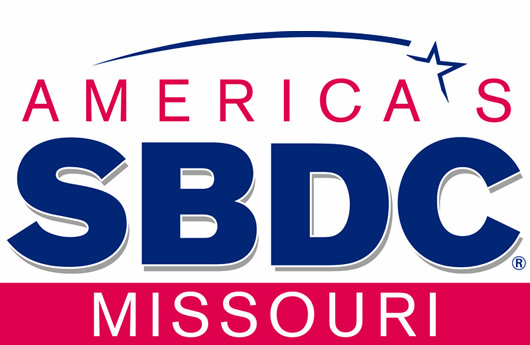 The Small Business Development Center has developed and cultivated relationships with partners such as the Missouri Department of Economic Development (DED), State Legislature, area Chambers of Commerce and Economic Developers throughout the region to increase productivity and partnership possibilities for the SBDC. Funded in part through a cooperative agreement with the US Small Business Administration. Rebecca Lobina, the regional director of Northwest's Small Business Development Center (SBDC), authored an article, titled "The Powerhouse for Entrepreneurs," for the winter 2017 edition of the St. Joseph Business Journal.